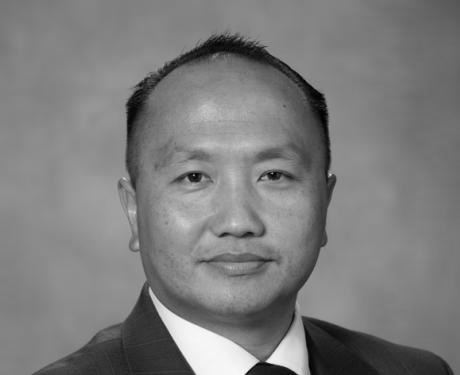 Court documents on file at the Sacramento County Superior Court reveal Elk Grove Vice Mayor and Mayoral candidate Steve Ly was fired as the Executive Director by his former employer for financial mismanagement and failure of leadership. These revelations were uncovered in documents of a failed discrimination and wrongful employment termination lawsuit by Ly and two other litigants against their former employer, Sacramento-based aid, and charitable organization Asian Resource Inc. Documents for the case, Steve Ly, Mickey Hawj, Ghia Xiong v. Asian Resources Inc., 07ASS02408, September 24, 2007 show that Ly, who was employed by the ARI for nine months starting in September 2005, was fired after financial mismanagement of the non-governmental agency and the threat of a mass resignation of employees demanding his termination. Among other charges leveled by Ly was that along with being terminated based on his ethnicity, he was also targeted by the ARI Board of Directors for his refusal to support Jimmy Yee in his 2006 bid for the Sacramento County Board of Supervisors. Ly’s suit never went to trial as it was dismissed in a summary judgment issued in favor of the ARI on April 14, 2010. In that decision, the late Judge Loren McMaster ruled that Ly and his co-litigants were unable to substantiate among several claims that they were terminated, as he Ly argued, as an act of racial discrimination and for not supporting Yee’s successful bid for the Sacramento County Board of Supervisors. “Steve Ly was hired as Executive Director by the Board of Directors on Sept. 1, 2005. He understood that he was at-will which was in the personnel handbook. Applying for and maintaining grant funding was a key responsibility of his position. Ly was not experienced in grant writing, but instead of learning the process, he delegated that responsibility to inexperienced staff. When he did take part in the grant process, he improperly applied for two grants for the same source, resulting in both being denied. Ly failed to maintain relationships with key funders, by failing to attend meetings and failing to socialize appropriately with key members of the community or partner agencies. Ly failed to maintain existing programs, resulting in corrective action against ARI and the loss of $120,000 in funding. Ly spent an excessive amount in his short time at ARI, without regard for the budget process, depleting ARI’s resources. Citing the evidence and case law, McMaster also wrote that Ly and the other litigants’ claims their terminations were racially motivated and that Ly and Xiong had been promised long-term employment were unsubstantiated. So just how did Ly, a politician with well-known ambitions, get fired as an Executive Director of aid group after only nine months on the job? Ly hired as Executive Director of Asian Resource Inc. The saga started in mid-2005 when the well-regarded ARI founder and Executive Director May Lee decided to retire. At that point, the ARI, which was founded by Ms. Lee, had become a well-respected charitable organization aiding a wide variety of clients in the Sacramento community. The ARI started in 1980 to provide social services to refugees and immigrants primarily from Southeast Asia. Over the years, the ARI expanded its mission to serve various in-need individuals and the waves of immigrants and refugees who landed in Sacramento including Russian and Ukrainian communities following the collapse of the Soviet Union and more recently, Syrians. To serve the various communities, the ARI relies on funding from donations, and more importantly, grants. As the agency progressed, one of the main tasks of the Executive Director was securing annual grants which fund their various outreach activities and building relations within the Sacramento community. That outreach was to include regular attendance at meeting from the organizations that provide grant money and socializing with community members at the ARI fundraising events. When Ms. Lee retired, along with directing the activities of the 30-plus employees at three offices, securing grants had become the main responsibility of her successor. After Ly was hired, court document reveals that Ly failed not only in the leadership of employees, his unwillingness to learn the grant process led to what employees described as the near financial collapse of the organization. After Ms. Lee had announced her intentions to retire, the ARI started a recruitment to find a replacement. The candidate they settled on was Mr. Ly saying he appeared willing to learn the various tasks. Ly started his employment on September 1, 2005, at the salary of $78,750 as an at-will employee, which was the standard practice for all ARI employees. The at-will classification would come into play after Ly’s termination as he contended in his lawsuit that Ms. Lee had promised him employment of up to 25-years. One of Ly’s first email memos to the staff dated October 9, 2005, described his vision of how the operation and staff reporting was to be conducted. The description of the workplace as he envisioned was a top-down organization. In that email, Ly described a workplace where he would start monitoring employee’s online activities, and that staff at any one of their three offices should expect unannounced visits. The memo concluded by saying “On a more serious note, do not interpret my civility as a sign of inaction. I am patient and nice, but I will not tolerate insubordination. When he was hired, declarations from both sides acknowledged that Ly was inexperienced in grant writing, one of the Executive Director’s main responsibilities, but Ms. Lee and the ARI staff would assist and train him to become proficient at the task. As letters from employees who were asked to review Ly revealed, he was unwilling to learn the task and “shirked” them off to employees who had no experience. Ms. Lee’s declaration also said she stayed on in an advisory role after Ly’s hire and instructed him how to complete a grant that she had initially started. Instead of following Lee’s instructions, Ly passed it off to an inexperienced employee declarations show. Rather than completing the grant as instructed, according to another declaration, “Almost immediately after he was hired, Ly summarily dropped the responsibility of submitting a final proposal for Targeted Assistance Grants (approximately $700,000)” from the Sacramento Employment and Training Agency (SETA) on an employee inexperienced in grant writing. Ly also delegated grant writing to three other employees, none of whom had any experience. SETA grants were the ARI’s single largest source of grants representing 90-percent of its then $2 million annual budget. Declarations from several of the defendant’s employees uniformly say that not only did Ly avoid learning grant writing, but he also passed off the responsibility to inexperienced staff. Those same declarations said Ly did not attend SETA meetings and left it up to employees to represent ARI. While Ly’s inattention to grant writing led to the loss of funds, he soon recruited and hired Mr. Ghia Xiong, another party to the suit, as Deputy Director. Although Ly had approval for the hire, he did so at a salary substantially higher than budgeted. Mr Xiong, who relocated from Fresno to Sacramento for the position, was reportedly a close friend of Ly. At about the same time, Ly also promoted an employee, Ms. Mickey Hawj, to an office manager. Hawj was promoted without any other applicant, internal or external, competing for the position at an annual salary that was over budget by $12,000. Xiong was subsequently laid-off in August 2006 because of the ensuing funding deficiencies and the dire financial straits of the ARI because of Ly’s leadership. Ms. Hawj left the agency after being offered a lower paying job with the agency. Xiong and Hawj joined Ly in the lawsuit asserting they been a victim of racial discrimination. Xiong further claimed he had been promised long-term employment by Ly. By early December 2005, Ly’s mishandling of grant writing started to catch up with him according to a declaration by the ARI program manager for the California Works for Better Health Programs (CWBH). That employee, who had recently given birth and was on maternity leave, was contacted by Ly and asked to attend a meeting with him in San Francisco regarding a grant proposal from the California Endowment. That employee could not attend the meeting, but she did have a two-hour conversation with Ly trying to help him prepare. In the end, Ly did not participate in the meeting as pursuant to his role as ED, and instead sent an inexperienced employee declarations showed. In his declarations and depositions, Ly acknowledged that he had assigned grant writing duties to several inexperienced employees. However, he said he did so after they had requested the opportunity to become involved in the process. By early December, declarations and employee reviews show that employee morale had come to the attention of ARI’s Board of Directors. In a special Directors’ meeting on December 5, 2005, Ly blamed morale problems on four specific female employees. Along with his unwillingness to learn about grant writing, by November 2005 board members and key staff started preparing for their annual Lunar Festival and Fortune Festival which took place in February and April 2006 respectively. As Ms. Lee noted in her declaration, these were the ARI’s biggest annual fundraising events that Ly needed to be fully immersed. Ms. Lee, as well as several other Board of Directors and employees in their review of Ly, criticized his aloofness during that crucial event. Defendants’ declarations said the Lunar Festival netted $20,000 which was earmarked for the 2006 Summer Youth Program. As a result of the ARI’s fiscal position at the time of Ly’s firing, that program had to be cancelled. As 2006 started, the grant writing problems continued and employee morale at the ARI began to suffer under Ly’s leadership according to the defendant's declarations’. The CWBH program director was instructed to fly to San Diego to meet with a partner agency to explore affordable housing and real estate development. Ly insisted she accompany him to San Diego, even though she was admittedly inexperienced in such matters. Ly attended the same meeting but was two to three hours late according to the declaration. Other employees also claimed Ly owned investment properties and during regular business hours he attended to renting the units. In his declarations and depositions, Ly denied he had ever conducted personal business, including study for law school, while on duty. By this time, Ly had dropped out of Lincoln Law School after two years of attendance according to the institution. Ly’s various biographical sources say he attended University of Northern California’s Lorenzo Patino School of Law following Lincoln but does not list a graduation date. It is not known if Ly, who is not a member of the California Bar, ever took the Bar Examination or if and when he graduated. The unaccredited Patino School of Law, which was founded by famed Sacramento bail bondsman and bounty hunter Leonard Padilla in 1983, closed its doors as of 2013. It is reported between 1997 and 2011, the school, which Padilla considered a law school of last resort, had 134 students take the bar exam with only 11 passing on their first attempt. According to declarations and employee reviews, Ly hired two bodyguards at ARI’s expense. Varying cost were mentioned in declarations ranging up to $7,000. Ly did acknowledge the purchase of the laptop computer and attending golf tournaments but made no mention of the leather computer carrying case, frequent meals or cell phone bills. He also said the golf tournament provided him with a good opportunity for networking. As the Board of Directors started hearing further employee rumbling, a second outside consultant was hired to analyze the workplace. According to the defendant’s declarations, this consultant called one of the Directors at home on several occasions to express concern about Ly. As 2006 wore on, the defendants’ declarations paint a picture of not only rapid deterioration of ARI’s finances but poor employee morale. On April 26, 2006 an ARI manager attended a meeting of SETA, which was according to several declarations was supposed to be a regular task for Ly. At this meeting, the employee learned that the ARI had lost about $120,000 in youth funding. On May 8, 2006, Ly reportedly told employees during a staff meeting of the loss of funding and sought suggestions on how to keep the agency afloat. By this point, several of the employees, concerned about their employment, met offsite to discuss the situation. That same month ARI’s individual Board of Directors started to hear directly from employees about morale problems brought on by Ly’s management practices. Two Directors contacted the employees directly to assess the situation. Around May 15, declarations show that employees learned there was a special Board of Directors meeting scheduled for May 16. The employees who previously met offsite decided to attend the meeting to express their concerns. At that meeting, 11 employees, several of whom were in management positions, came in unannounced and presented a mass letter of resignation. The letter, which can be viewed here, announced that the 11 signatories would resign in one week. The letter said of Ly and Xiong “We have not seen the substance of Steve and Ghia’s work. We, in fact, believe they are spending a great portion of their time implementing personal (non-Asian Resources) goals. After telling the employees they would need two weeks to address their concerns, the Board of Directors decided to conduct anonymous employee evaluations of Ly. What they found in those surveys helped them make their determination. The next day, the ARI Board of Directors distributed a letter to employees seeking their participation in a Management Leadership Practices Inventory. As part of that process, employees were also invited to write specific comments about Ly anonymously. The results of the numeric survey showed Ly had lost the confidence of the workforce. The individual written narratives painted an unflattering portrait of Ly’s leadership style. The several traits and allegations regarding Ly mentioned in the descriptions are in the following categories. These comments have been transcribed verbatim from employees’ reviews. All the employee letters can be viewed here. In a letter dated May 30, 2006, the letter said the numerical scores and strongly-worded narratives highlighted were unfavorable. “The survey also showed an overwhelming lack of confidence in your leadership style among both managers and staff throughout the organization. The termination letter was signed by Timothy Fong, PhD., who was the President of the ARI Board of Directors. In Fong’s declaration, he said the board met on May 25 and unanimously voted to terminate Ly’s employment. 2016 by Elk Grove News. All rights reserved. No Comment to " Elk Grove Vice Mayor Fired by Former Employer For Financial Mismanagement, Leadership Failure "